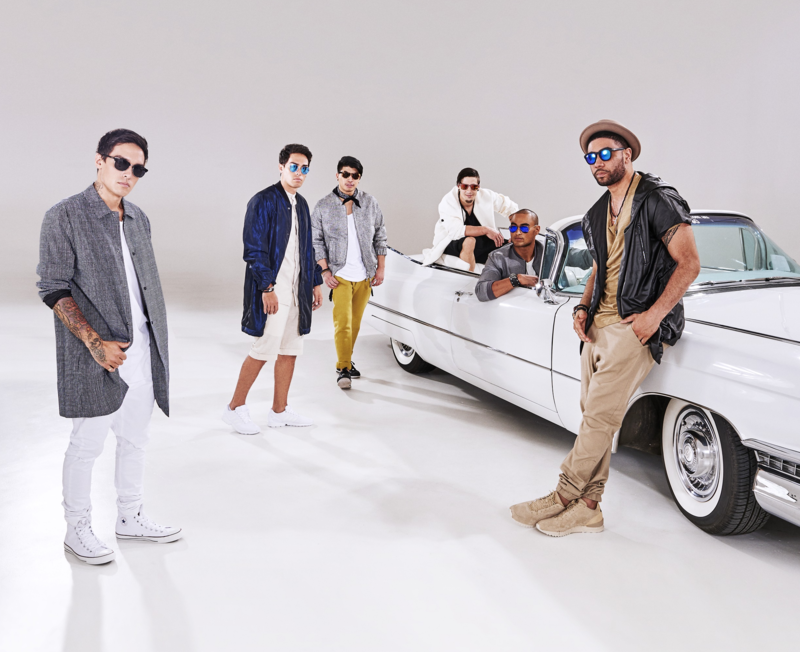 The boys from Justice Crew only wrapped up their tour of New South Wales venues a couple of months back, but they’re now just a month away from another series of live dates, again in New South Wales. But what about other states? What about new music? And just what might audiences expect at these shows? We ask the questions, the boys provide the answers in our latest Q&A. Q. You’ve enjoyed an impressive run of success in the charts. Does this mean you’ve found the formula that works for you? A. We’ve had a great run of success on the past few years and in that time we’ve learned not to really go by formulas but more by the feeling a song suggests. Q. Why do you think your single ‘Que Sera’ was as huge as it was? A. ‘Que Sera’ did so well because the theme resonates with so many people. It’s a song about friendship and just being there for your mates. Q. Have you found it difficult being taken seriously as a pop act, given you cut your teeth as a dance troupe? A. Being a crew of dancers trying to transition into the pop world wasn’t easy at first, but having our performance skills come naturally helped a lot in Justice Crew being taken seriously. Q. You’ve slimmed down the group numbers over the years. What are some of the advantages of having six in the group as opposed to seven? Or eight? A. There are a few advantages to being a 6 man act now, the biggest one is that we are able to communicate and work well together, it also made it a bit easier for our fans to identify with the 6 members we now roll with. Q. We’re presuming you’ve done enough slimming down for the time being…? A. The unfortunate loss of other members took a lot of getting used to, but now as a 6-piece we are pumped to work hard, tour and take on the future! Q. So what can fans expect on this run of ‘Live & Local’ dates throughout April? A. Justice Crew’s April tour dates will be the best ones yet! We’ve improved our skills and developed a CRAZY show, it’s always a high energy party and we can’t wait to take our show around the state! Q. Are you planning to extend the tour beyond New South Wales at this stage? If so, what are the plans? A. Once we’ve finished our NSW tour, the country’s other states are definitely on the cards! Q. You’ve reportedly been working on new music beyond your latest single ‘Good Times’. Who have you been working with? And when can we expect to see the new material? A. Lately we’ve been hitting the studio and working on our music a fair bit because we are maturing as artists so are our styles and sounds individually as well as a crew. Won’t be long until we have another smash hit with a new sound ready for the world! Q. Are albums important to you? We presume that most of your audience would be the singles-buyer market? A. Albums ARE important to us as artists – they give the listener a wider range of choice and gives the artists more dimension. They are like a package of stories and personalities for our fans to engage with and relate to. Q. And what of the international market? Are there plans to take your act beyond our shores? A. We’ve been getting lots of love from México since our visit there last year so we have plans to go back again for sure! In saying that, any international visit with Justice Crew is ALWAYS an epic adventure!